Unlike buying a prebuilt, preowned home, a custom home design can be built to accommodate your unique taste and preferences. Also in contrast to prebuilt homes, custom homes typically come with a higher price tag due to the personalization and features that goes into the home’s unique design. Since the bottom line price of a home can change due to certain custom home features, we wanted to give you some insight into some of those specific areas of the home that can change the price. Another area where upgrades occur in custom built homes is in the lighting and fixtures. The style or size of a lighting fixture can dramatically change the appearance of a room or even an entire home. Many of our clients are looking to add recessed lighting to Great Room areas with dimmers for mood-enhancement. 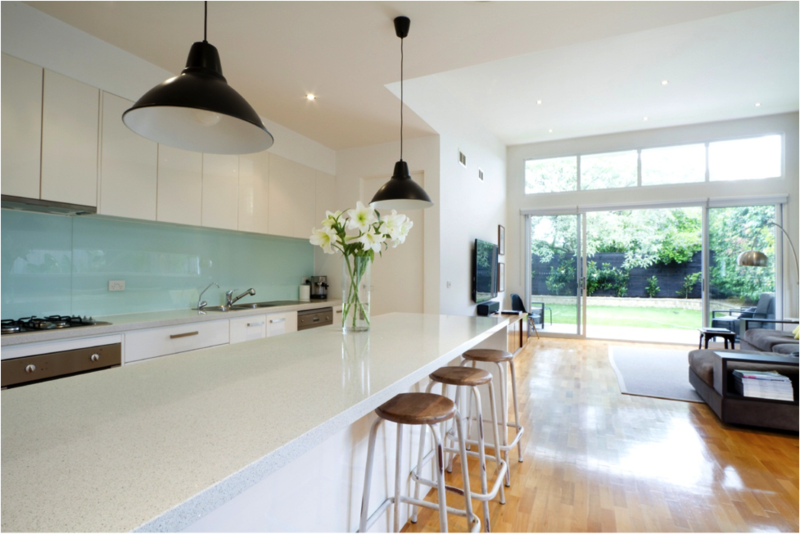 In the kitchen area, we are seeing a desire for pendant lighting. This adds a lot of character to an otherwise standard overhead kitchen light. Chandeliers are also making a comeback, but this time they are smaller, less over-the-top versions. As you can see, building a custom home comes with a lot of options as well as an increase in the price of the home. Adding these upgrades, however, not only adds a significant amount of value to the home, but it also adds character and uniqueness to your dream home!